We’ll take about 15 minutes to walk around the room, looking at the designs. Think about how different they look when printed on paper versus seen on a screen. Take notes. Then we’ll sit back down and comment on each design. Each person needs to have a comment (even if it’s a point someone else has made, your reasons for making it will be unique) for design. To “call” font awesome (make it appear in browsers visiting your site), you need to get a snippet of code from FA. Paste it in the HEAD of your template and any pages that are already on your site. Responsive web design is a framework that allows websites adapt to different output devices (which have different screen sizes), such as a desktop computer monitor or a mobile device. In practice, a responsive site relies on one design that changes across devices. Adaptive sites use templates that are optimized for various output devices. identify which content must be visible on each device. One hallmark of responsive design is the use of min/max widths with elements (divs, sections) that are defined in percentage widths, not absolute pixels. We also have to consider image size, both actual size and file size. There are many frameworks that help developers create responsible websites, such as Twitter Bootstrap or the W3C Framework. Next wee, we will work on customizing your home page code so that it is responsive. I will also have a working contact form for you. ** Continue working on your sites. You are building out your final design. I will get feedback collated while you all code; if you haven’t done so, please provide feedback for Elizabeth (0ne, two) and Mark (links were shared in Slack). Still missing comps from Ling. Upload the main.css stylesheet to your scripts directory. Then add that link inside the head of your template (edit the placeholder). The driver for the content and design of these sections should come from your visual designs. Once you’ve built the raw template, add site header info (for most of you, global navigation is here) and footer information. Be sure to create a link for each of the five pages of your site; name the home page link index.html. There should be no content in the main content section (except the H1 placeholder). Save the template.html file as contact.html. Now edit the TITLE tag and add the page title in the H1. Then remove the link to “Contact” in your main navigation. You have created a dummy or placeholder file for the contact page. It should look something like this (DropBox link). Save the template file “as” each page of your site. The edit each of those files, changing the TITLE tag and H1 and removing the appropriate link. 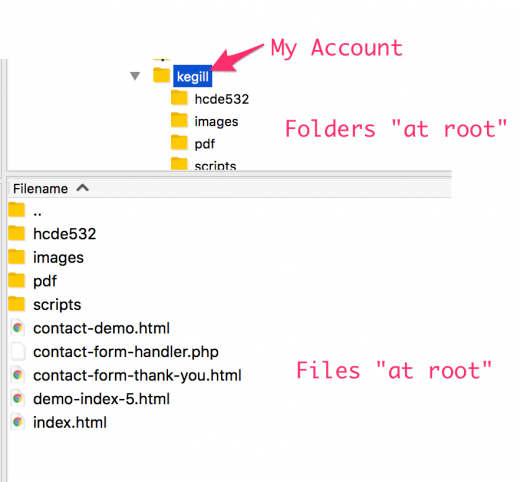 Upload at of these files to your server at root*. Make sure your links work and each page has its link disabled in the global navigation. 4. Begin experimenting with your CSS so that these templated pages look like you envision them. DUE TONIGHT AT THE CLOSE OF CLASS: the link to the index.html page you built in class. Post it in Slack. Tonight we are going to continue building our sites for desktop/laptop displays.